I am sure you read the technical overview, but we need to make sure you are looking good with your new Shoei RF-1200, too. Here is where you are going to meet the all new graphics for the RF-1200. Matte Hi-Viz? Whoever heard of such a thing? Shoei certainly did and knocked our socks off with their Beacon graphic. The Shoei RF-1200 Beacon has a complete matte finish; a red design with a fluorescent nature to it, definitely getting you noticed. By the way, if you have a Dainese jacket or race suit with their fluorescent red, this is going to look AWESOME with it. 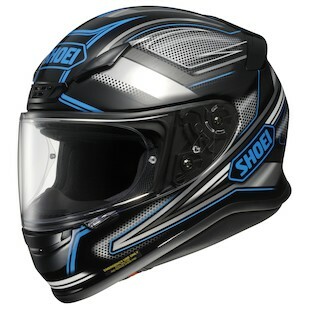 The Dominance, a more conservative design by Shoei, depicts a fast moving graphic in a couple of different colorways. In my eyes, this looks like a nice refresher to the RF-1100 Chroma graphic, coming in a few different variations. Personally, the blue graphics of the Shoei RF-1200 Dominance look pretty radical, popping out from the rest of the helmet’s dark paint. Duchesses need not worry, there is a special graphic just for you. 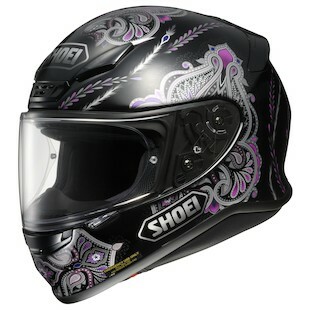 Appropriately named the Dutchess, Shoei has launched a black, grey, and purple lace graphic, aimed towards the female rider. This is not overwhelmingly feminine like some others out there, but the Shoei RF-1200 Duchess definitely stands out from the rest of the pack. 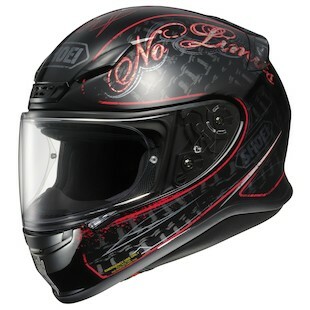 If you are looking to make a statement, the Shoei RF-1200 Inception graphic is really going to get you there. The Inception mixes some gloss black with a matte finish on top of a ghosted chain graphic with some red accents. Talk about detail! If you are a badass and want a full face helmet, this is it. 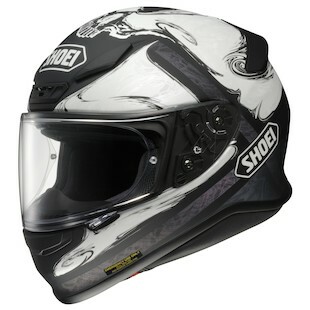 On another badass note comes the completely matte finished Shoei RF-1200 Phantasm. This asymmetric flowing skull graphic is subtle at first, but utterly insane when you grasp what is fully going on with the helmet. 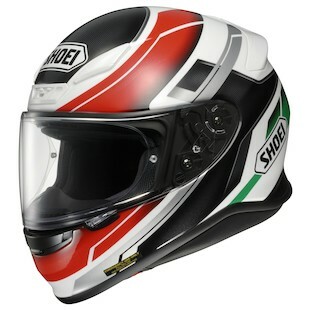 Lastly, another timeless expected to be popular design by Shoei, the Mystify. Available in white, red, or red and green, this is a helmet for any bike. However, for you tri color Ducati owners, if you want to match your bike check out the red/white/green combo on this Shoei RF-1200 Mystify Helmet. Not too bad for a brand new helmet being released! Usually we see solid color options first, followed by graphics down the line, but Shoei is taking care of us this time from the get-go. A full selection right off the bat - certain to find a match for any rider out there. 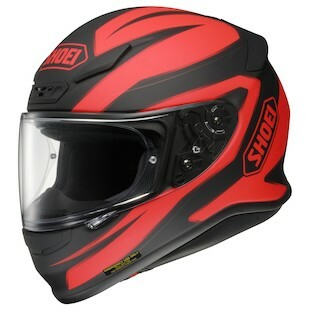 Check out all of the Shoei RF-1200 Helmets at RevZilla.com!